Health and safety is our highest priority. As per our health and safety policy statement, we work hard in recognising our duty under Section 2(3) of the Health and Safety at Work Act 1974 to fulfil our obligations to our employees and members of the public affected by our work activities. Our health and safety policy is continually monitored and updated regularly to account for any changes in legislation, ensuring good practice and the management of all risk. To safeguard on-site, a site-specific method statement and risk assessment is produced and adhered to. Machinery, and lifting and safety equipment are serviced and calibrated regularly. Copies of our £10m Employer’s Liability Insurance and £10m Public/Products Liability Insurance certificates are available upon request. Our emphasis on and commitment to health and safety is demonstrated by our numerous industry accreditations displayed on this page, and these are annually reviewed. Concern for the environment is an integral and fundamental part of our company. We are aware of and committed to minimising the impact of our day-to-day operations on the environment, and conduct our operations to ensure compliance with all relevant environmental legislation. We hold the Achilles registered and verified status this through a rigorous audit of our company’s operations. This accreditation demonstrates our commitment to health and safety, the environment, and quality of our service.  We are listed on the Achilles database for buyers to appoint us for tunnelling and sewer connection works. This accreditation gives customers confidence that we have been vetted, and have all the necessary insurances and documentation to carry out our works safely. Our operatives and supervisors are NRSWA/Streetworks accredited, which is a legal requirement for undertaking excavation works in the public highway. This means they can carry out your works competently, safely, and to the standards expected by local authorities. Company Reg No: 9111340 All rights reserved. © 2019 NG Tunnelling Limited.